Ceramic on ceramic bearing surfaces can be used in total hip arthroplasty with many benefits, the most significant being low wear rates in the magnitude of 10x less than metal on polyethylene. Ceramic is a much harder material than polyethylene, which makes it susceptible to fracture when point stress is applied to the material. 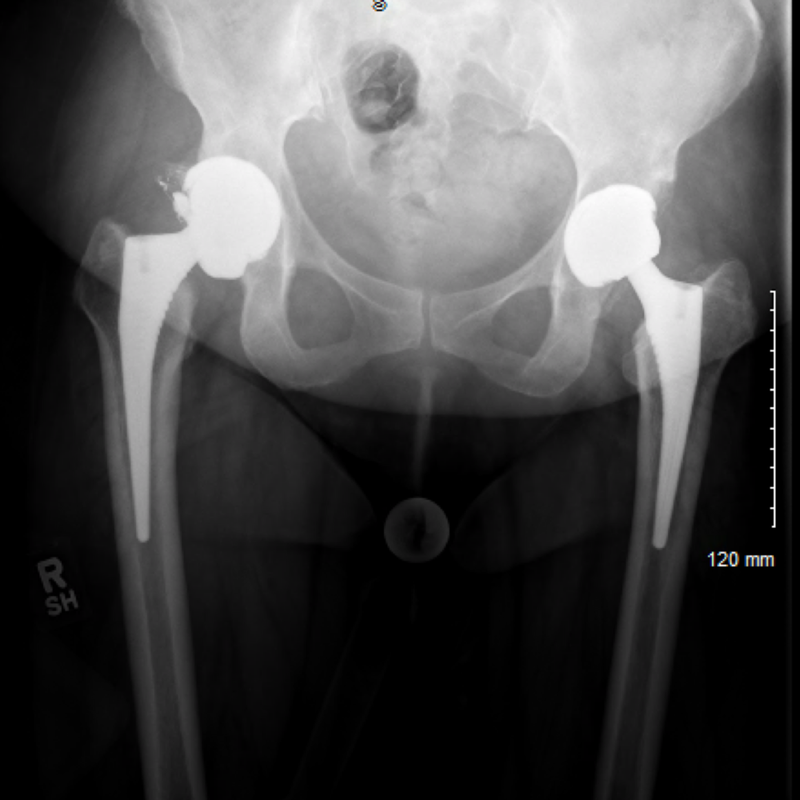 Although this is a rare complication, these few cases demonstrate this phenomena.